Mid-career or senior New Zealand writers of Pacific heritage are now being invited to apply for the 2017 Fulbright-Creative New Zealand Pacific Writer’s Residency at the University of Hawai‘i. The three month residency, supported by Fulbright New Zealand and Creative New Zealand, is for a creative writing project exploring Pacific identity, culture or history. The residency is valued at NZ$30,000 and includes return airfares to Hawai‘i, accommodation costs and a monthly stipend. Previous recipients have included authors Karlo Mila, Sarona Aiono-Iosefa and Marisa Maepu; poets Tusiata Avia, Leilani Tamu and Daren Kamali; filmmakers Sima Urale and Toa Fraser; and playwright Victor Rodger. Hawai‘i has been identified as a strategic location for artists and is considered the hub of Pacific writing with numerous universities, library resources, networks, writers’ forums and publishers. It is also an important link to the mainland US and has a strong indigenous culture. The most recent writer-in-residence, Mīria George (Te Arawa, Ngāti Awa, Ngāti Rongo-ma-tane (Atiu), Ngāti Tinomana (Rarotonga)) from Horohoro and Akaoa, Arorangi, is a writer of theatre, director and producer from Tawata Productions. 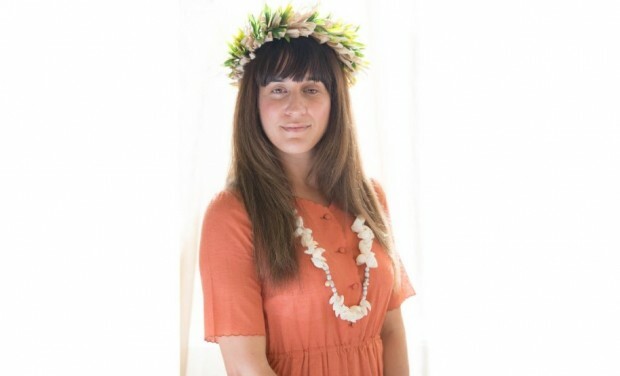 Mīria will use her 2016 Fulbright-Creative New Zealand Pacific Writer’s Residency to write and develop her performance piece ‘Fire In The Water, Fire In The Sky’. “The prospect of being creative and connecting in Hawai’i is grounding. To have the opportunity to trace our shared Polynesian papa’anga / whakapapa through time in the Hawai’ian Islands is a privilege. To sit with local artists, to hear what stories are being told, what theatrical styles are being created from this very unique part of the world – I look forward to all of this,” Mīria says. The 2017 Fulbright-Creative New Zealand Pacific Writer’s Residency is available in either the Fall (August to November) or Spring (February to May) semester of the 2017-2018 US academic year. The deadline for applications is 5:00pm, 9 March 2017. Applications are made online via the Fulbright New Zealand website.